Kabobs are a healthy, delicious meal that can be shared with the entire family. Chicken in particular is a highly digestible protein for your pup, which is rich in niacin (promoting a healthy cholesterol and heart) and selenium. It is paired with bell peppers to provide your dog with some immune strengthening vitamin C and zucchini which is super low in calories. Soak the bamboo sticks for at least an hour in warm water (to prevent burning on the grill). Assemble the kabobs starting with zucchini, pepper and chicken. 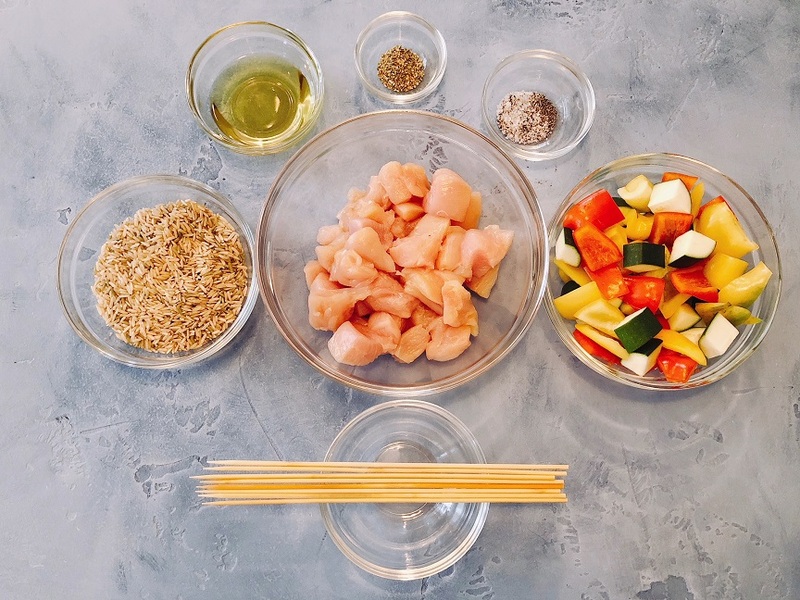 Aim to get four pieces of chicken on each kabob and end with a bell pepper followed by a zucchini. Marinate in the grapeseed oil and oregano for at least 30 minutes. Grill each kabob by making quarter turns to get all for sides. It generally takes about 4-5 minutes per side. 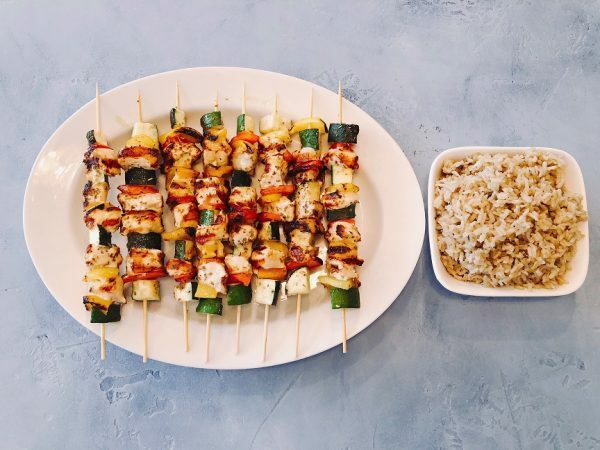 Serve two kabobs per family member with 1/2 cup brown rice.